According to a study conducted by the University of Tufts in Boston, Massachusetts, it is common for elderly people to lose appetite or eat less. Although it’s not something to be concerned about, it important to keep nutritional intake healthy to keep the elderly energy level high. Of course, nutritional needs vary with aging people as some vitamins are more important for them than younger individuals. Although some nutritional needs for elderly people are generally similar tothose of younger adults, here’s a brief summary of the nutrients you should provide for your senior loved ones. 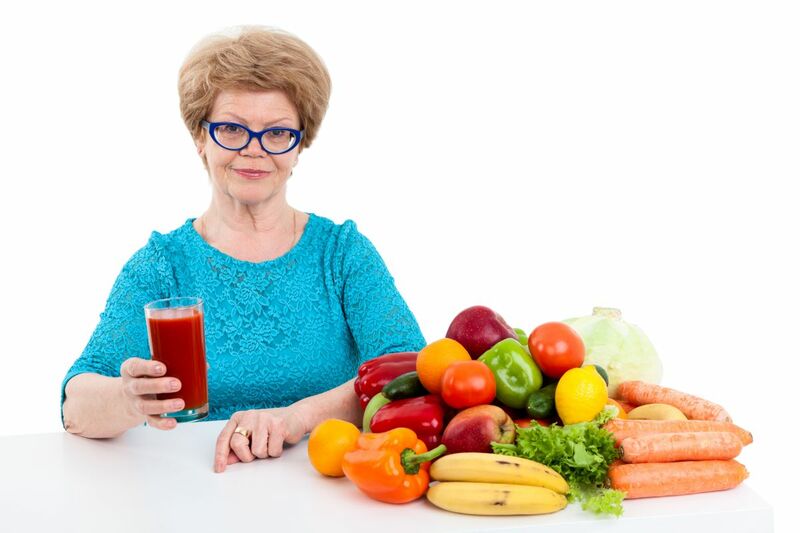 Why do elderly nutritional needs change? With the reduction of physical activity and fixed metabolism rate in older people, nutritional needs also decrease and may cause weight loss which can be life threatening. Their digestive system as well begins to produce less fluids to digest food and absorb vitamins and minerals. Their appetite also changes because their taste buds weaken causing them to lose interest in many foods. Phosphorus: 550 mg. Needed for the body to make protein for the growth,maintenance, and repair of cells and tissues. Vitamin B6: 2 mg. Vitamin B6 deficiencies have been associated with cognitive function decline and depression. Vitamin B12: 5 mg. Low vitamin B12 concentrations in older adults create a serious problem, as deficiencies can lead to a variety of serious nerve-related effects, including peripheral neuropathy, balance disturbances, cognitive disturbances, and ultimately physical disability. Iron: 8 mg. Iron-deficiency is the second most common cause of anemia in the elderly. Copper: 2 mg. Copper is vital to the health of the body from foetal development right through to old age. Energy requirements decline with increasing age, particularly if physical activity is restricted. Although this means eating less, requirements for protein, vitamins and minerals remain largely unchanged. 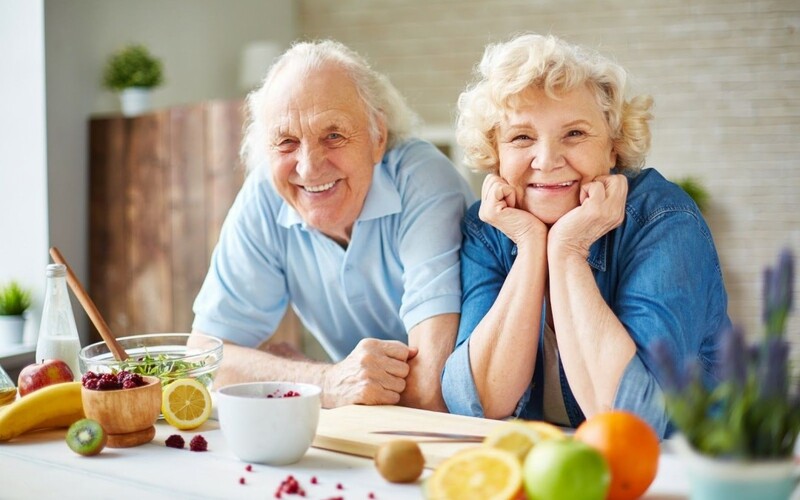 It is therefore important that older people choose a nutrient-dense diet, including foods which contain protein, vitamins and minerals such as milk and dairy products, meat, eggs, fish, bread, cereals, and fruit and vegetables. Energy requirements also vary between females and males with the need of 1900 Kcals/per day for females, and 2330 Kcals/per day for males. Protein requirements become slightly lower in men, but increase slightly in women after 50 years of age. However, as energy requirements decrease, the protein density of the diet should be greater for both men and women. More protein containing foods such as lean meat, milk and dairy foods, eggs and pulses should be eaten. Protein requirements may also be increased in some older people due to illness. Females should intake 46.5 g/per day, while males should take 53.3 g/per day. Because more seniors lose their appetite and eat less, they are more in danger of malnutrition. It’s important for caregivers to maintain their diet and make sure they get all the nutrients they need with the small amount of meals they eat in a day.